Virgon is incredibly pleased to announce that our latest project Montana, has come in 1st place at the 2016 Boroondara Urban Design Awards! Montana came in equal first for the category of ‘Best Small Scale Multi-Dwelling Residential Development’ at the awards, which is a serious credit to the attention to detail which was taken during construction by Virgon. Of the four residences, two have now been sold, with another two remaining. See below for some examples of why Montana was awarded first place in its category. 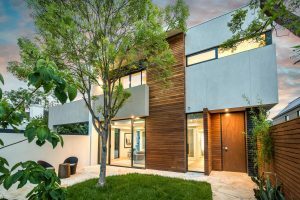 By Virgon having over two decades of experience in the Boroondara market, this has resulted in an in-depth knowledge of the market and what local residents want in their home. Therefore another award for Virgon reassures our status as ‘Boroondara Specialists’. Montana is entered into several award categories in 2016, including the Master Builders Awards and the HIA Awards. Stay tuned to see if this prized project can add more awards to its trophy cabinet! ← Residence 1 of Montana SOLD!